Imagery for Kids – What Are the Benefits? You are here: Home / Guided Imagery defined / Imagery for Kids – What Are the Benefits? Numerous studies indicate the benefits of guided imagery meditation for adults. But can your own children benefit from imagery for kids? They can. 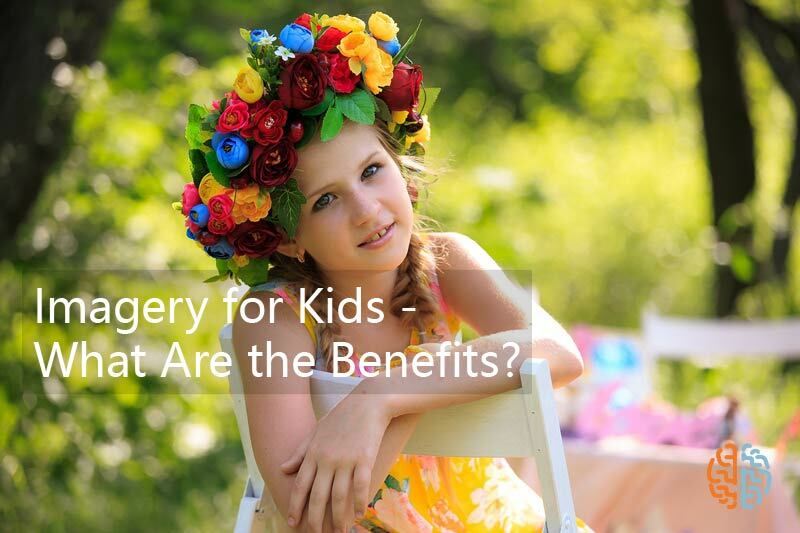 Here’s a brief list of the benefits of guided imagery for children and teens. Guided imagery can teach your child to become more aware of his physical self as well as his reactions to stress in school and in other settings. In turn, this increased awareness allows him to have greater control of his emotional state. When your child can capably cope with stress, he becomes more confident in life and develops a positive outlook which is beneficial in various facets of his life. He can also become less likely to suffer from depression. Imagery can further hone your child’s concentration and attention skills which will prove valuable inside the classroom. In schools that conducted imagery and related meditation programs, the participating students were able to garner higher scores in their achievement tests compared to their peers in schools that did not implement a similar program. This increased attention and concentration can also be beneficial for young ones suffering from ADHD, inattentiveness and hyperactivity. Imagery allows your child to tap into his inner self, his thoughts and emotions. This enables him to develop a heightened sense of compassion and empathy which is crucial in different forms of social interaction inside and outside of school. Although many children are creative by nature, most are not attuned to their creative selves. Through the practice of imagery, your child can tap into his innate creativity. Even short periods of meditation can have a positive effect on children and teens, especially when it comes to tasks that require them to come up with new and original ideas. In a world that is increasingly becoming wired through different platforms like the internet, TV and video games, imagery can act to counter some of the adverse side effects brought about by these. Imagery can help counteract the diminished attention span, impatience and anxiety exhibited by a growing number of children. Imagery and mediation hone self-awareness and allow practitioners to know themselves and identify what truly makes them happy. Again, by looking inwards, your children can find the path that they want to pursue in life. Additionally, as they develop their senses of self- regulation and intuition, they gain a good measure of independence.